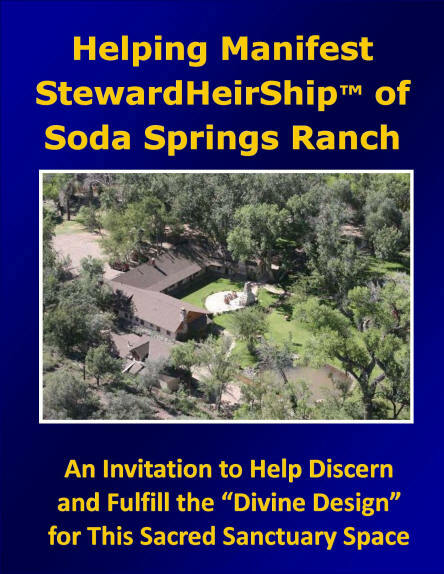 Helping Manifest StewardHeirShip™ Of Soda Springs Ranch! The Third Natural Wonder in Northern Arizona! 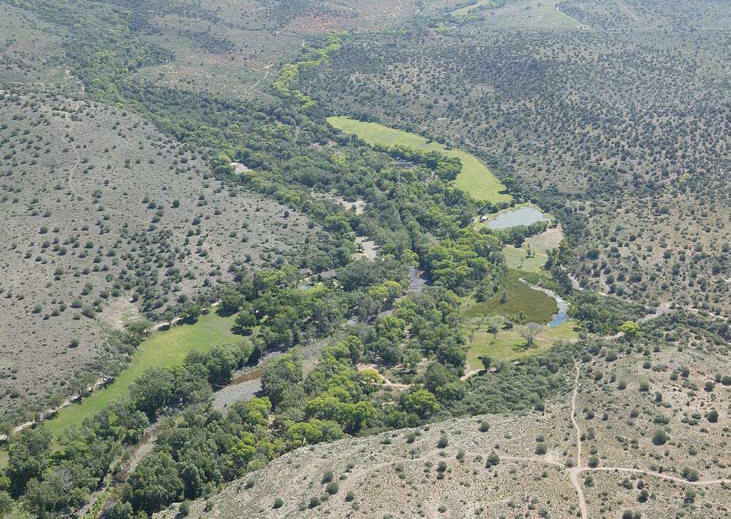 We invite you to participate in a cocreative visioning process to discern how to manifest StewardHeirShip of this extraordinary property that consists of 134 acres with several bodies of water near Sedona, Arizona including a 5,000 square foot lodge (with 10 bedrooms, dining room, commercial kitchen, lounge), 4 houses, pastures, barn, stables, shooting range, trout pond, etc. 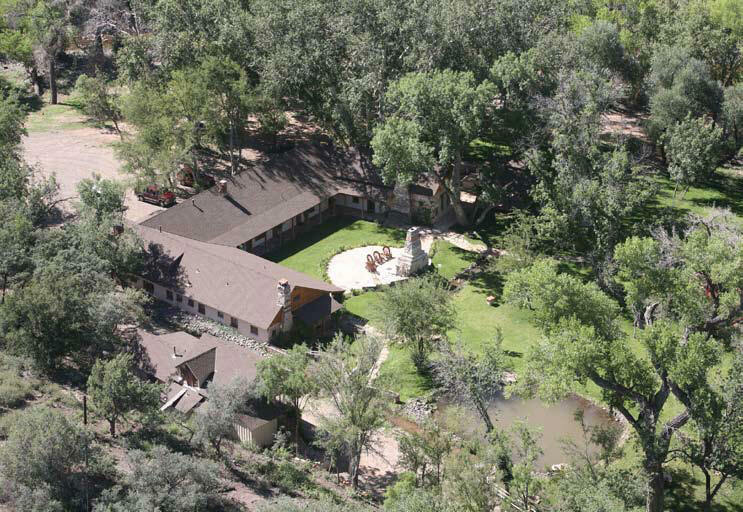 There are many individuals, non-profit organizations and companies interested in this one-of-a-kind property. We have identified 8 possible ways that could be used to acquire, operate and help fulfill the highest and best use of Soda Springs Ranch. They include: through a Limited Liability Company (which is how present ownership is structured); by one or more Non-Profit Organizations (NPO) by one or more C Corporations; by a Benefit Corporation; as a Community Land Trust; as a Cooperative (http://socialeconomyaz.org/whats-a-cooperative/); as an Intentional Community (which could include any combination of the other options); and as an experiential demonstration Center for Conscious Sustainable Living (which could also include any combination of the other options). Click Here for a new team member with Community Land Trust experience. What is being envisioned is a possible "joint venture" among several of the interested parties that would incorporate most if not all of the 8 possible ways listed above. 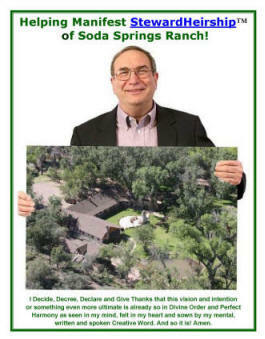 In addition, the proposed project would incorporate the principles and practices of Community Economic Development, coproduction of periodic fundraising events in surrounding cities (such as Sedona, Prescott, Flagstaff and Phoenix); publication of a paperback book inviting cocreative participation in the process of discerning and fulfilling the highest and best use of the property, launching a Crowd Funding campaign on 1 of the major Reward Platforms, and getting positioned to launch a separate Equity Crowd Funding campaign later as soon as those provisions of the JOBS Act are approved by the SEC. Share this page and concepts with potential collaborators to determine to what extent there is alignment. Drafting the outline for the publication inviting cocreative collaboration that would include chapters on: Overview of Social Entrepreneurship (including the “Quadruple Bottom Line) of Purpose, People, Planet and Profitability); Introduction to StewardHeirShip (which incorporates Service, Stewardship, Sustainability and Spiritual principles, practices and values); Community Economic Development Principles and Practices (which include Self-Help, Empowerment and Capacity-Building); Community Land Trusts; Intentional Communities; Conscious Sustainable Living; Benefit Corporations and B Corps; The JOBS Act and Equity Crowd Funding; Introduction to Soda Springs Ranch as an Exercise; Invitation to Participate in Cocreative Visioning and Strategic Planning; Interest and Participation Survey and Featured Resources. Develop a Master Fundraising Plan that would explore possible funding via grants, donations, contracts and Program Related Investments from Private Foundations. (We already have agreement from Cornucopia Community Advocates, our 501 (c)(3) Fiscal Sponsor for CENTER SPACE to serve as the lead non-profit). Create a Tentative Project Workplan that would demonstrate how a series of monthly, quarterly and annual events (mostly offsite) could generate 100+% of the operating expenses of the proerty (and even debt service if a mortgage was taken out. For example, we could coproduce seminars, workshops and conferences in surrounding communities with some of the 50 recipients of the Ultimate Destiny Hall of Fame Award. We already have strategic relationships with all of them and we have produced highly successful events with many of them. Observations by Charles Betterton, MSCED. “Write the vision; make it plain on tablets, so he may run who reads it. While I dearly love the Property and would like to live there, help manage it for the benefit of the larger community, I am more interested in some other P words. the Profitability that will be required for ongoing stewardheirship. One exercise we now invite you to help us complete is to adapt this vision process to help us discern what the property itself desires for its utilization. Please let us know if and how you might like to contribute your love, light, wisdom and expertise in helping discern the "ultimate destiny" of this extraordinary property. Please click below for examples of visioning and strategic planning forms and processes we may utilize in this project. 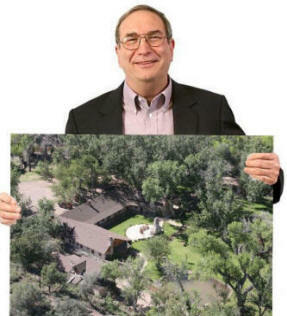 My personal and corporate interests in helping manifest stewardheirship over Soda Springs Ranch are much broader than this particular property. (2) to expand the Community Economic Development Resource Center to provide technical assistance and access to funding to help individuals and organizations acquire and operate these facilities for what Bucky Fuller referred to as "betterment for 100% of humanity". The individuals and organizations we are working with have been sharing that vision for over 10 years with fellow members in Social Venture Network, World Business Academy, IONS, Heartmath, Association for Global New Thought, Spirit in Business, International New Thought Alliance, the Centers for Spiritual Living, etc. I have lived in spiritually-oriented intentional communities for over 25 years, (including Stelle, IL), cofounded several non-profit organizations including the Fellowship for Intentional Community, Community Development Corporations, a Community Action Agency, a Community Foundation, the Illinois Chapter of the National Congress for Community Economic Development (CED) and more recently incorporated a network of CED Benefit Corporations. One "frame of reference" for our new cause-oriented StewardHeirShip LLC is based on the international network of Centers affiliated with the Emissaries of Divine Light (EDL). At one time a few years ago, they had to sell Green Pastures, their beautiful property in New Hampshire. Because there was no resource available to help ensure continued operation of the property as an intentional community, it was sold for commercial development. And I know of many other properties like Soda Springs Ranch that could had fulfilled a much higher purpose if there was a resource available to help provide technical assistance and funding to acquire and preserve special "sacred sanctuary spaces" like the ranch is to me. That is why I am offering my services to help explore this process of cocreative collaboration to discern the "ultimate destiny" of the property. Click Here for a PDF of this web page. Copyright 2014 Universal Stewardheirship, Inc.